The MARTEX functional module was developed for the MICA ecosystem. DWave, as HARTING partner, has designed some functional modules for the MICA. 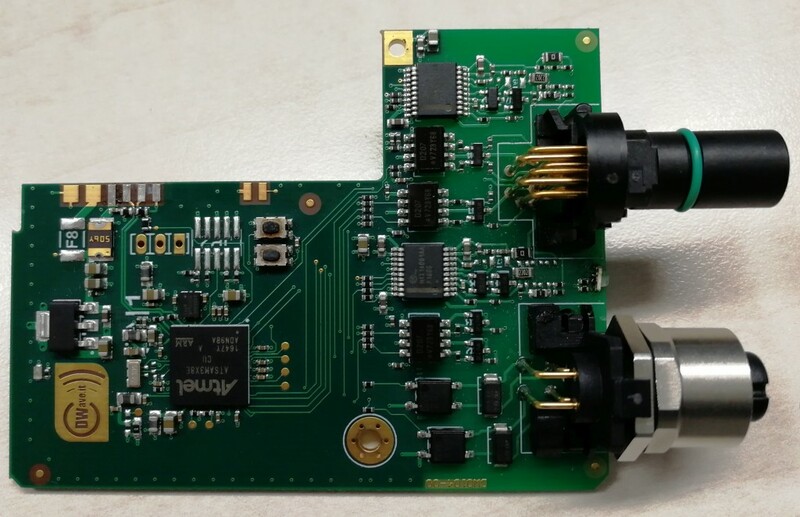 DW0104 board is a MICA functional module. Based on ARDUINO-2 micro-controller. A Shield for ARDUINO-2 board is also available (DW0105 board). 2x 0 to 24V analog inputs. 6x 24V Digital Inputs (usable also as quadrature encoder). Optoisolated. Each interface exposed to the connectors is mutually isolated. The module is designed for industrial and railways application, satisfying the most stringent design rules. Integrating the module on the MICA housing you can enable the REAL TIME on your application. All the benefit of the MICA ecosystem plus the REAL TIME output and acquisitions made your system ready for the most challenge. The module is pre-certified, ready for the production and to be integrated on your system.